The Glass Castle is the story of a wildly original (and wildly dysfunctional) family with humor and compassion. What most surprised you about the story? Why did Jeannette’s mom not reveal her secret wealth earlier? How does Jeannette live up to her mountain goat nickname? 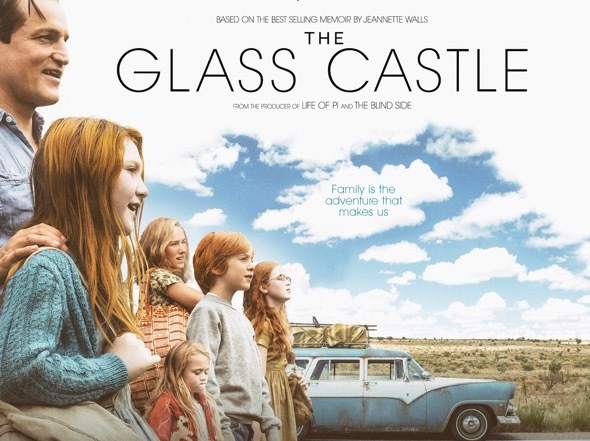 What is the symbolic meaning of ‘the glass castle’? Was it somehow important that it was not built? What are the advantages and disadvantages of always moving, never getting settled in any one place? What does Jeannette mean when she says her father never tried to be someone that he was not? What gave Jeannette the power to escape her restrictive circumstances? Jeannette Walls, despite everything, refuses to condemn her parents and is grateful for her upbringing. Are you able to be equally nonjudgemental? Why or why not? What biblical or wisdom story does the film remind you of?